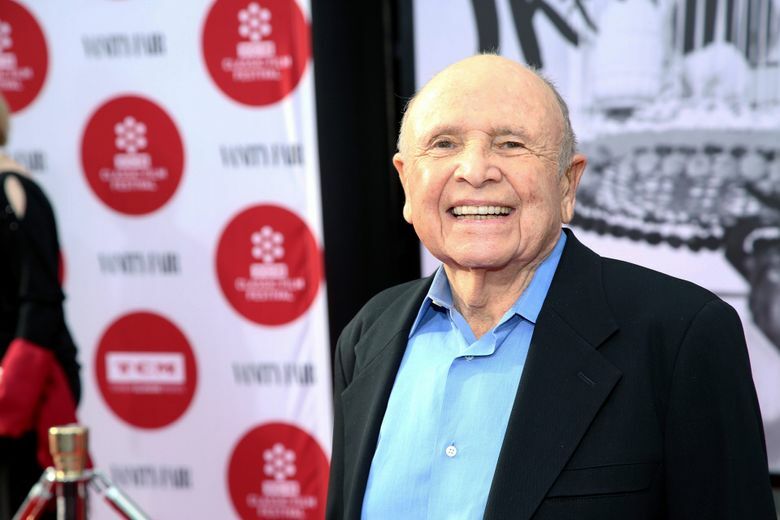 LOS ANGELES (AP) — Even though Lynn Stalmaster helped such actors as John Travolta, Christopher Reeve, Richard Dreyfuss and Jon Voight get their start in Hollywood, he would never say he “discovered” them. “I feel I’m instrumental,” the 88-year-old casting director said, his eyes glistening as he considers the impact he may have had on those careers. “I’m getting too emotional here,” he said. Stalmaster will become the first person to receive an Oscar for casting when he accepts an honorary Academy Award Saturday at the film academy’s eighth annual Governors Awards. There is no Oscar category for casting directors, who only established a branch within the Academy of Motion Picture Arts and Sciences three years ago. Action star Jackie Chan, film editor Anne V. Coates and documentarian Frederick Wiseman are also receiving honorary Oscars for lifetime achievement at the Governors Awards ceremony in Hollywood. Stalmaster earned a master’s degree in theater from UCLA, and though he was having some success as an actor (he counts the 1951 John Wayne film “Flying Leathernecks” among his credits), he wanted a backup plan. He started working as a production assistant to a prolific pair of television producers, who eventually asked him to become their casting director. He made it his business to know every young performer around, and traveled regularly to New York and Europe to meet with actors, managers and agents. Stalmaster ultimately opened his own casting office and went on to work with such directors as Billy Wilder, George Stevens, William Wyler, Norman Jewison, Blake Edwards, Hal Ashby, John Cassavetes, Mike Nichols and Sydney Pollack. He employed his own acting skills to bring out the best in the performers he was casting by reading with them in auditions. But he never regretted changing careers. Stalmaster said he’s gratified by the projects and people he worked with, and the unprecedented recognition from the film academy.